​Did you know that finding and pursuing your passion can have tremendous positive impact on your life? You can feel more alive, brilliant, and creative. Research have found that having a passion can dramatically increase your mental and physical well-being. Created by Donna Satchell Kimble, Achievement Speaker, Passion and Purpose Coach™, and Author, this website, Pursuing Their Passion, is designed to inspire you to find and move forward on your own passion. One of the major features are stories and live interviews with people who truly love what they do. These individuals are pursuing their passion on their jobs; as full-time or part-time entrepreneurs; in roles for professional, social, or faith-based organizations; as volunteers in their communities; as avid hobbies; individual endeavors; or personal crusades. However they have chosen to do what they love, they are all reaping the rich rewards of self-fulfillment, personal well-being and the tremendous sense of accomplishment. And those around them are benefiting from their efforts and their work. Don't you want to be one of these people? Blog - Read remarkable stories of individuals doing what they truly love. Interviews - Listen to interviews* with people pursuing exciting passions. To listen to the first interview, click here. Programs | Books - Resources and the program to help you personally discover your talents, and passions. E-zine | Contact - Sign up for a great newsletter and receive "how -to" articles on to finding your passion, updates on research studies about the topic, and exciting stories about passion pursuers. 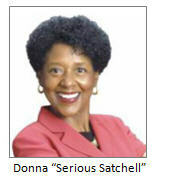 For more information about Donna, click here.